Oh Fiddler, how did I live without you? For me it’s invaluable the information it gives me to debug my custom soap headers or my JSON streams. One trick though, if you are hosting your services on a webserver on your own development box, use the machine name instead of localhost on your HTTP requests or Fiddler won’t intercept them. Posted on April 6, 2010 April 6, 2010 Categories web servicesLeave a comment on Oh Fiddler, how did I live without you? This is one of the things that drives us insane from time to time. You may call this a bug, a lazy developer encapsulating bad code on a code generation tool, or just bad luck, but I quite some hours on this issue. We have Java services that need to be consumed from C# client proxies. We do have a contract first approach and have the types defined on schema files and the service contracts are defined on their corresponding wsdl 1.2 files. We validated the wsdl and xsd files with Altova XmlSpy and did the code generation with the svcutil tool several times, as well as the Visual Studio 2008 Add a Service Reference Tool. The code generation goes on fine, but the project that contains the proxy classes does not build. There are conflicting type names under the same namespace. This does not happen with the Java client proxy generation tools, the Java code builds fine. The generated code had a Driver Interface defined and a driver partial class defined. After quite a few hours trying to figure out what was wrong (we changed the namespace names, the type names etc), a colleague pointed out the name of the port on the wsdl file. I know we .NET developers have been spoiled for a while. We go on VS2005 and create a new web site project, select the type of project as web service and voila, we land on a page where we can start typing new methods for this class and mark them as web methods with a single annotation. 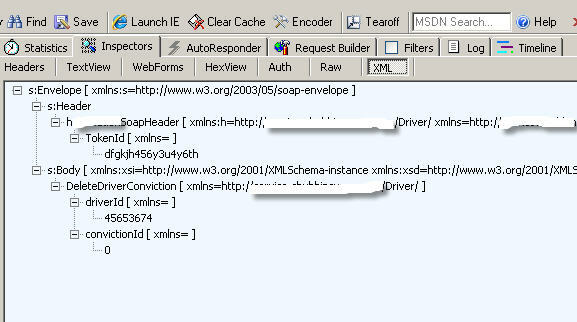 VS2005 does all the plumbing for us creating the wsdl and even publishing the web service for us with another click. But, is this good enough? VS2005 implements WS-I Basic Profile 1.1, but I believe you can still use .NET types such as special collections…that won’t have a Java counterpart. WSCF existed for a long time on the Java world, VS2005 comes with two command line utilities that can serve to the purpose (xsd.exe and wsdl.exe) but, imho, they are hard to use. Also the pumbling this utility generates is only for SOAP web services, not for REST web services. If you know and can lit the path, please comment. I’m planning to play with this on the next few hours. Posted on May 31, 2008 Categories web servicesLeave a comment on Web Services Contract First?? ?